Forestry issues in California are many, complex, and continually changing. From the statewide to the local level, the California Association of Resource Conservation Districts (CARCD) participates in identifying and creating solutions to these issues. The next Forestry Committee meeting is a conference call scheduled for May 14, 2019 from 8:00 – 9:00 am. Click here to see the Agenda and call in number. Many Resource Conservation Districts (RCDs) have active forestry programs focused on assisting forest landowners to better manage their forest and wildlife resources. CARCD encourages sustainable forest management practices. The CARCD Forestry Committee was formed to serve as an advisory body to the CARCD board of directors, to California’s RCDs, and to the USDA Natural Resources Conservation Service (NRCS) to address statewide forestry issues and opportunities. The Committee’s mission is to provide expertise, advice and support to conserve, restore and sustain the health, diversity and productivity of California’s forested landscapes. The mission of the CARCD Forestry Committee is to provide expertise, advice, and support to conserve, restore, and sustain the health, diversity, and productivity of California’s forested landscapes. The Forestry Committee Charter was finalized on February 15, 2018. 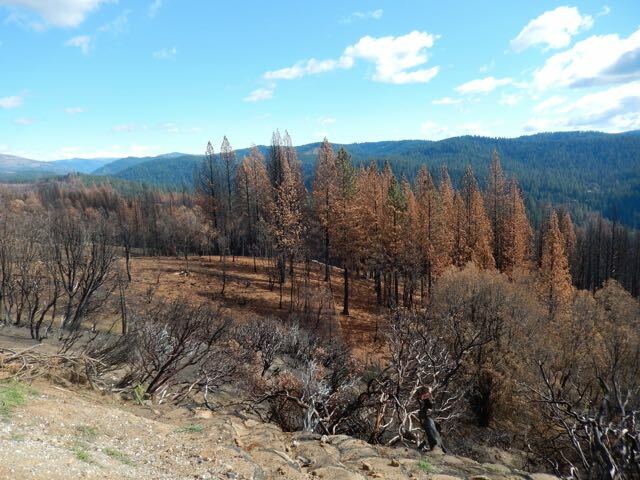 The El Dorado County Resource Conservation District Collaborative Reforestation Program Reforestation Needs Assessment was published in June 2018. For questions or copies of the El Dorado County Resource Conservation District Collaborative Reforestation Program Reforestation Needs Assessment document, please contact El Dorado County RCD District Manager Mark Egbert at (530) 303-5328 or e-mail Mark.Egbert@ca.usda.gov. Initial Forestry Assessment Responses. A report prepared on February 12, 2018. Forestry Program Needs Assessment Summary. A report prepared on February 12, 2018. Emergency Forest Restoration Program (EFRP): EFRP is a program of the Farm Service Agency and helps the owners of non-industrial private forests restore forest health damaged by natural disasters. The EFRP does this by authorizing payments to owners of private forests to restore disaster damaged forests. EQIP CFIP EFRP Crosswalk: This document provides an overview of landowner forestry assistance programs that RCD staff may find useful. Nov. 12, 2018: In November of 2018 the RCD of Greater San Diego County hosted a joint CARCD Forestry Committee and Statewide Forest Stewardship Coordinating Committee forest health field tour. Click here to read the article. The CARCD Board of Directors has sponsored a forestry committee for several decades to provide expertise, advice, and support to private landowners and partners. Formerly known as the CARCD Forestry and Fuels Committee, the CARCD Forestry Committee served a secondary purpose as the co-lead with the California Department of Forestry and Fire Protection (CAL FIRE) of the State Forest Stewardship Coordinating Committee (FSCC) from 1998 to early 2017. As of June 2017, the CARCD Forestry Committee relinquished its co-lead responsibility associated with the FSCC but remains an appointed and active member of the FSCC. The change was made to streamline functions, clarify requirements and improve operations of each separate committee. For questions, comments or requests for information, please email forestry-committee@carcd.org.